One snowy Saturday we headed off to New World Falconry in West Sussex to fly a bird of prey, specifically a Harris Hawk called Cairo. 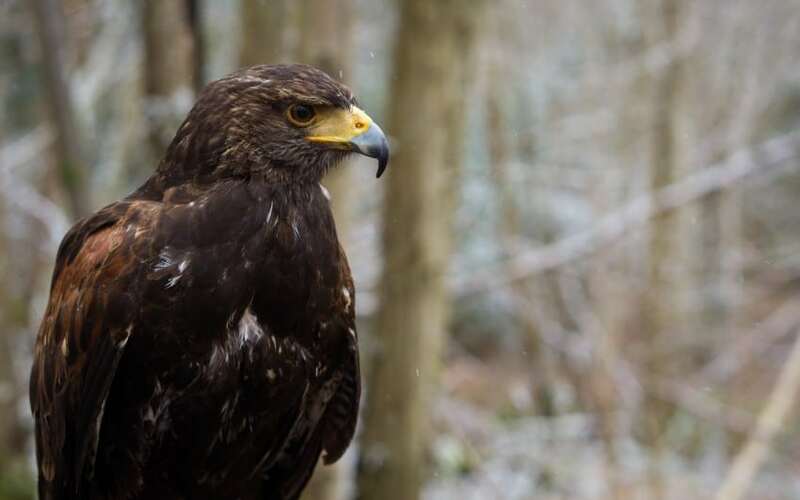 New World Falconry is set in a 500 acres of countryside, woodlands, boost stunning views and lakes. We had to have our first visit re arranged due to very bad weather on the booking. But Jason (the leader of the pack!) was brilliant at communication and re-arranging the experience to another day that suited us all. So they day arrived and I tell you I think we are jinxed! Down came the 2nd lot of snow and we nearly didn’t make it. 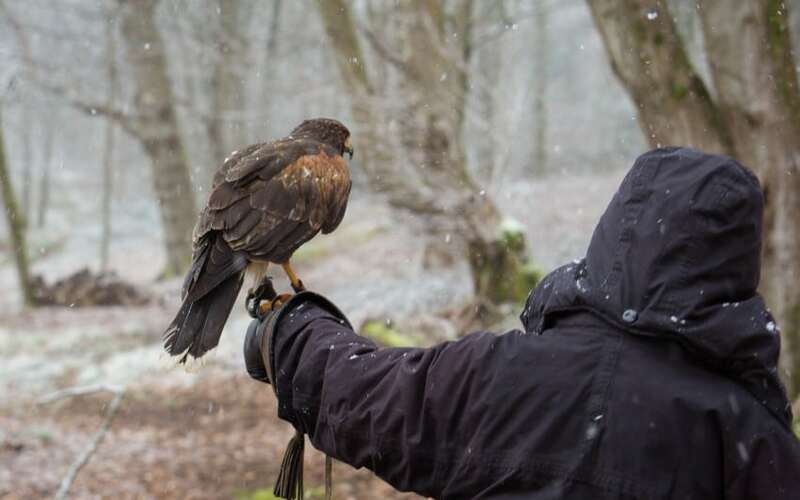 However Jason was happy enough to let his youngest member of the pack Cairo out to fly in the light snow showers. 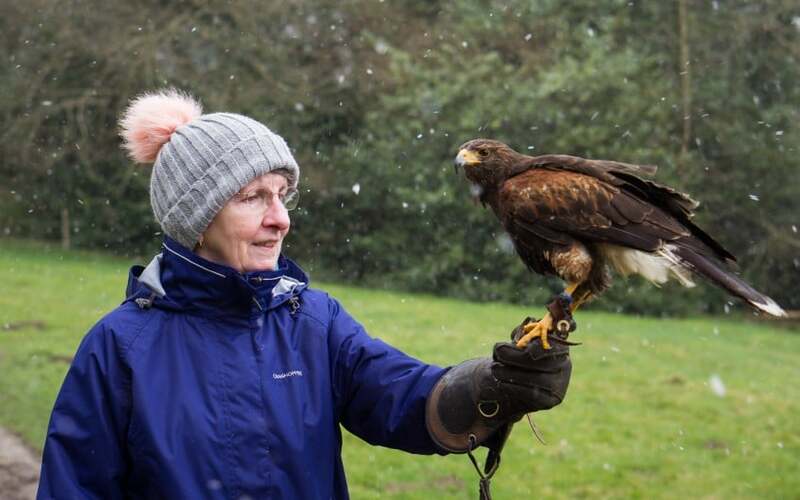 The birds are not waterproof so it is important that they are well looked after and they come first. If it had meant they couldn’t have flown once we arrived then it wouldn’t have been a problem. 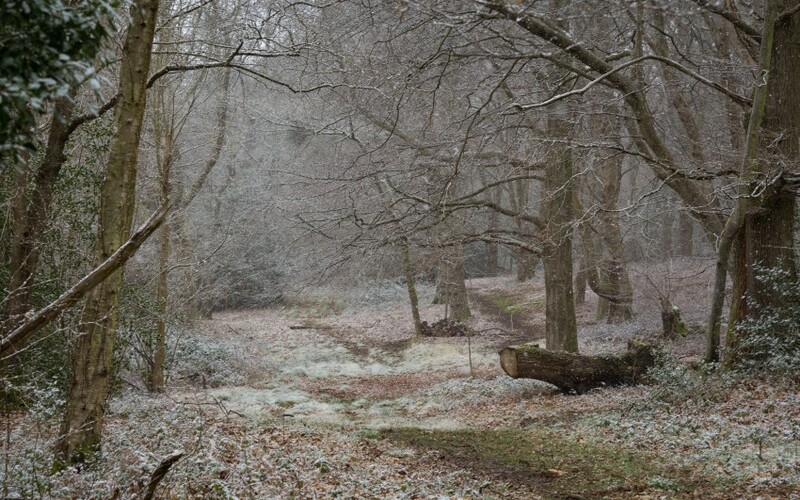 The snow made for some lovely photos though and Cairo wasn’t bothered by it at all. Still put on a fantastic show! The experience was for 2 people, Tyler my son took part and my husbands Mum as this was her Christmas present. She was really looking forward to this as she thinks birds of prey are stunning and it was lovely to be able to get up so close to one. 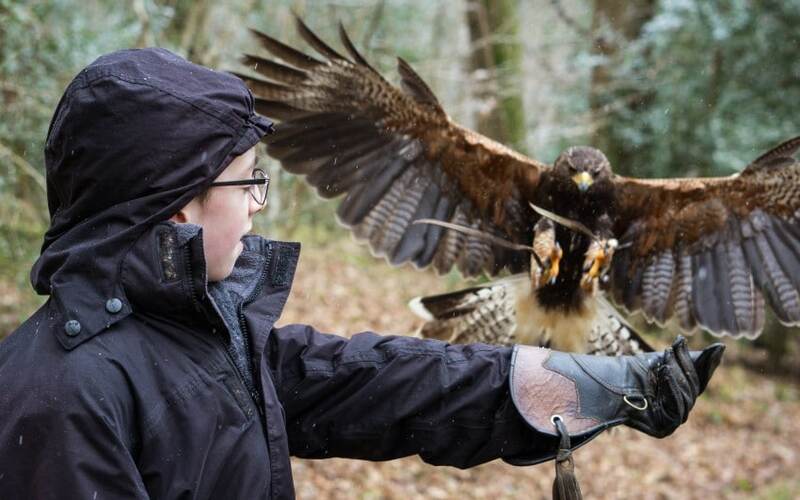 This experience was called a Hawk Walk, it was about 90 minutes long which was just about right I would say for us. Jason took us through the woods which are set in the grounds of an estate. 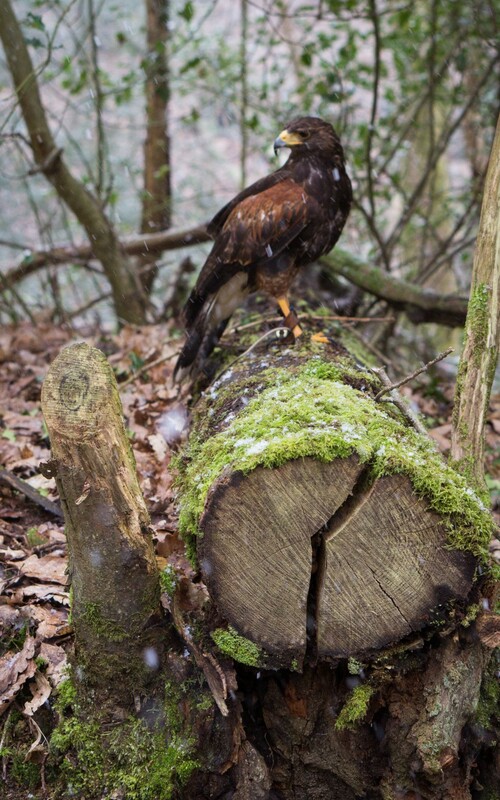 This gave a really natural feel to the Hawk Walk. 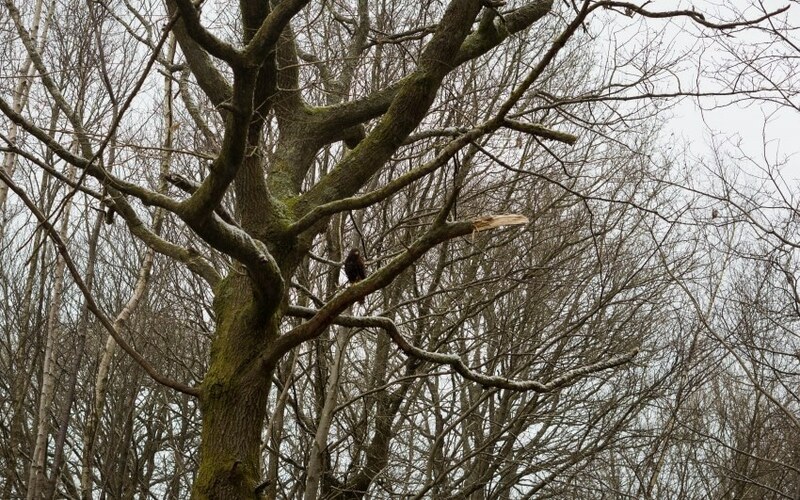 The bird was able to fly around the woods with us, who follows you like you were taking a dog out for a walk. Jason is a pack member and Cairo is one of the pack members too. He wanted to keep us all in check and together so we had to watch out if we were trailing behind as you might get a little tap on the head to keep up! At certain points throughout the walk Jason would tell one of you to lift your arm up and Cairo will see this and fly down and perch on your arm! It was a beautiful sight to watch and I had to be pretty quick with my camera to catch him flying! I need a better camera to capture him that quickly. 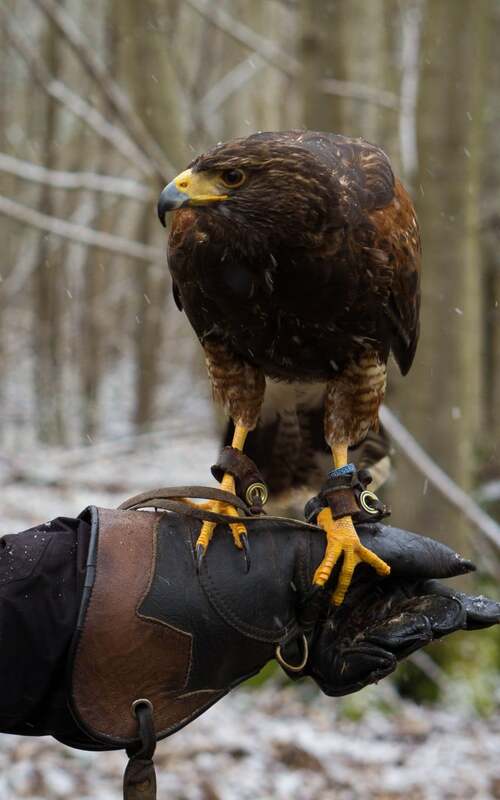 As he was sat on your arm you were able to see the beauty of him up close, looking at his claws, feathers, beak and wings. Jason was fantastic, he was informative, friendly and was more than happy to chat to you about anything to do with his birds. He chatted about everything and we learnt so much about Harris Hawks. You can tell he loves them, his job and they are well cared for. I’m not going to tell you anything about these birds because it would just ruin it, Jason can tell you so much better than I can anyway! 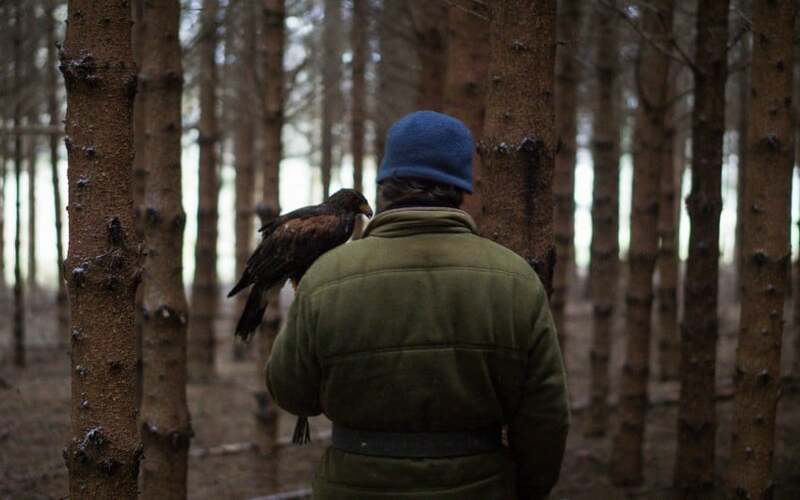 I know experiences like this have been set in a field and the bird just fly’s down a few times to you. You don’t get that here, you get to learn about these amazing birds whilst they’re doing what they love and in a beautiful location. 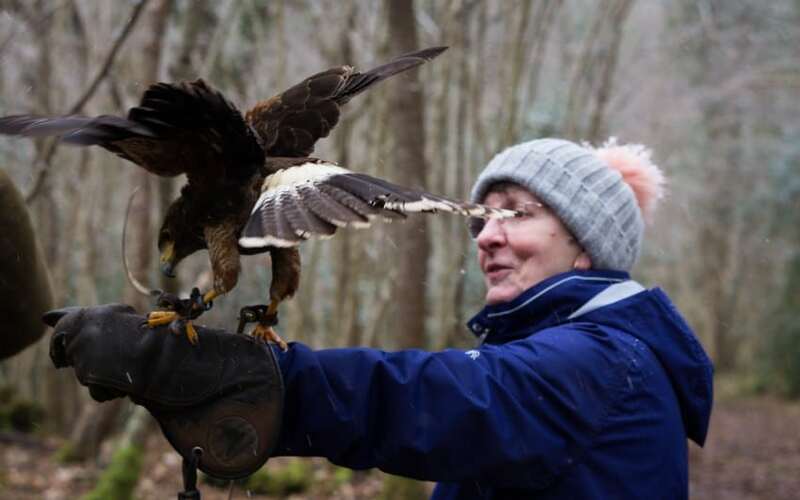 So if you’re thinking of doing something like this, or know someone who loves birds of prey then do check out New World Falconry as we couldn’t fault them and it was a lovely experience. If your not a Groupon member please consider signing up with my referral link – Thanks! *We paid for this experience ourselves, however as we purchased it through Groupon they do charge for spectators. They offered it to me free of charge for the purpose of this review. All words are honest and of my own. 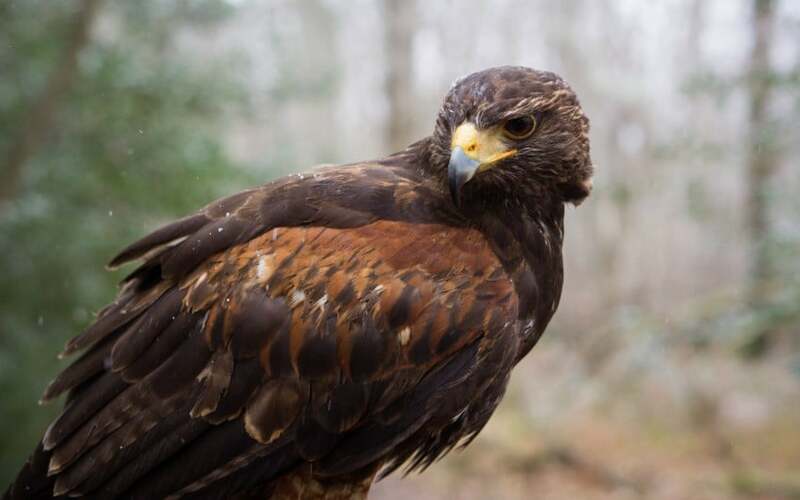 A Hawk Walk – what a fantastic idea! I would love to do this myself, never mind the kids. 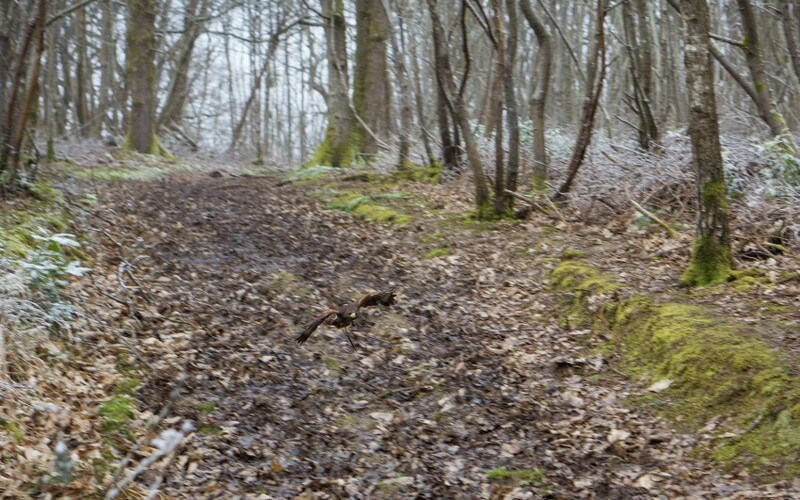 You took some beautiful pictures in these challenging conditions. He was beautiful, when he was flying down to you as well it looked even better! 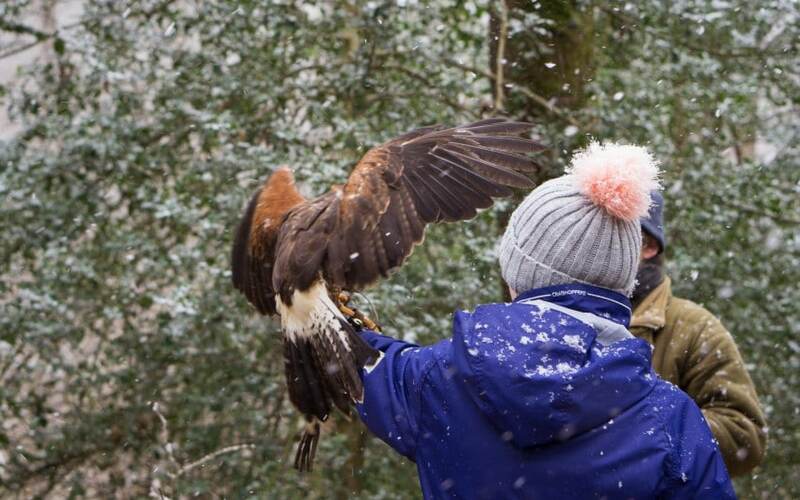 Full marks for you and the falconry centre for taking on the walk in the snow. I must say to sit here and watch your video and photos the snow adds a real magic, but I’m sure it must have been cold at the time. It looks an amazing walk with Cairo prompting you to keep up and landing on your arm. A fascinating adventure. Ah thank you, the video really shows how much snow there was coming down! I loved how he made us all keep up! 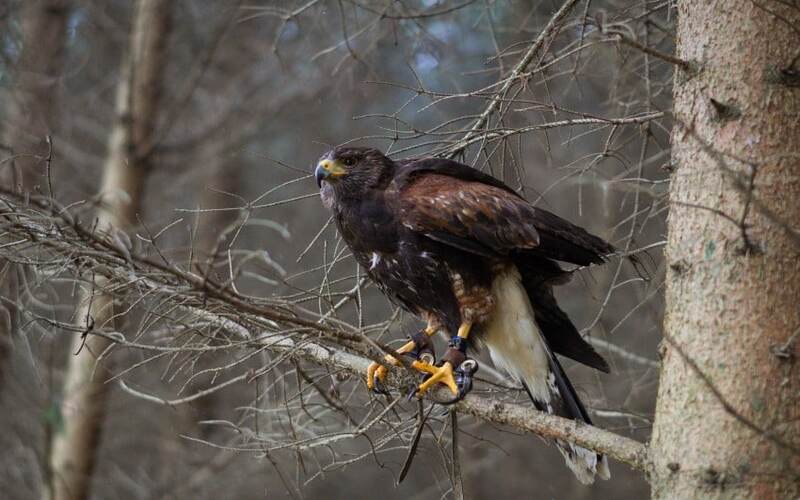 It was lovely to see him flying through the woods doing what he loved. It’s amazing how much longer they live being care for though! Their life expectancy is quite short in the wild. This man uses them a natural pest control around buildings, hospitals and estates. Wow what amazing photos from what looks like an interesting day. What a lovely experience. My hubby would love this. My husband would have enjoyed it too! Cairo is gorgeus! Looks like you had an amazing time! Thank you, he was pretty impressive!